In this guide we will explain as configure camera IP using DDNS or IP address public. To access correctly from within our network and remotely view from outside. So let’s take the example of a TP-LINK Router and a camera FOSCAM. Is it difficult to configure an IP camera? The answer depends on the skill of each user and the functions need the IP camera. The IP cameras come with a few simple instructions in Spanish. From our website you can download more extensive manuals and Setup guides to make features more concrete. It has available for some models videos and documents specific blog on how to do configuration n.
In addition to this you can consult us for free by email if you have had a problem in the configuration. In this way we aim to the customer has all the necessary information before making the purchase and that evaluate difficulty, according to their knowledge in their particular case. General P2P is very easy to see from the mobile camera. If instead you need to make a configuration by opening a port using DDNS or install a recording software on a computer, if it is necessary to have some more advanced knowledge. If, after trying to install the product considers is more complicated than I expected, can make a return before 14 days. An IP camera is different from one camera P2P in that the latter uses an APP supplied us manufacturer to do the configuration. Yes, in fact many models include both options, with which you can remotely access the camera several forms. The easiest way is to do it through P2P, but if you already have a DDNS APP or want to integrate this camera with other cameras using DDNS can opt for this solution. Although it must also be said that the majority of customers we are only need one camera prefer the P2P solution, so that over the years probably all single manufacturers integrate solutions into P2P. Previously installed and connected with a cable to the Router initially (although as we all know later we can connect them wireless). This configuration focuses on how to open a port and IP settings of your camera. If your camera uses configuration P2P is not necessary to carry out this process. We start the cameras take an address automatically DHCP. We are going to disable this function and assign an address IP outside the range of addresses assigned DHCP. Check the manual of your IP camera, but the most common way of connecting IP cameras to start the configuration is the first time connecting the camera cable to the same Router this computer and your connected smartphone. On some models of cameras you can do the settings via WiFi directly, this means accessing a network wireless camera emits. 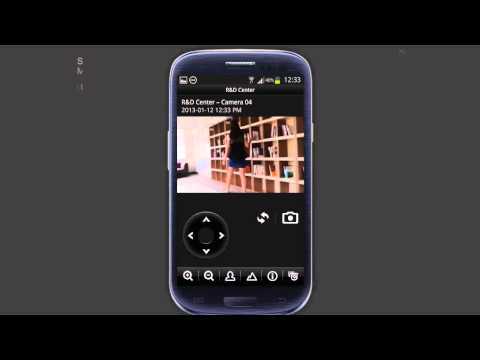 In this way you will access from your computer or smartphone directly to the camera to make Setup. It is not the most common way to access the camera, but in some cases it can be useful. To manage the IP address of the camera and knowing where has installed it our Router, or rather the DHCP server, you must have on hand software IP CAMERA TOOL. This software is included on the CD or on our website of Foscam, although you can also download it from the following document. Assigning a manual IP address within the range of addresses allows us to our Router. If our Router is configured for example 192.168.0.1 allows cameras IP addresses between 192.168.0.2 to 192.168.0.255 is up to 254 addresses. Check the range of addresses assigned DHCP from the Router. 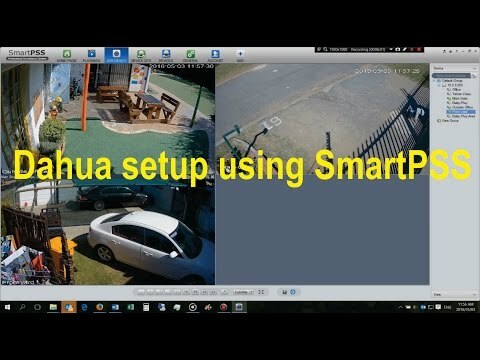 At this point we can already see the camera on the same network camera, only is installed need to click on the address shows IP Camera Tool and after entering our data we can visualize the camera. It is necessary to replace the example 192.168.0.240 local IP address for the public IP or DDNS address to view it remotely, but before it is necessary to manually open a port on our Router. A Router basically is responsible for is in route packages or information from our local network to Internet. I.e. it allows us among other functions to connect to the Internet and transmit or receive information. In addition to other functions a Router in your initial configuration does not allow for our own protection that from outside of our network access to our equipment. Or in other words provides us a security system which does not allow hacker or hackers can access data from our teams. So to be able to access our camera from the outside, it is necessary to tell the Router to the camera which is installed in our network, If possible to see it from the outside. To do this it is necessary to know the local IP address and port of the camera number and indicate to the Router. 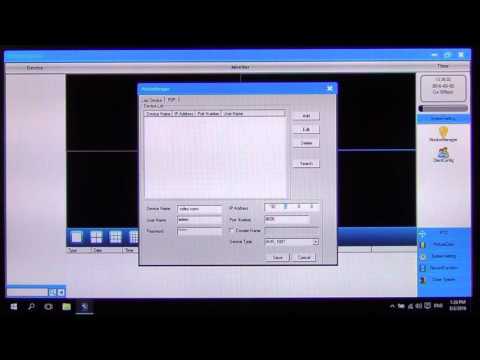 Starting from where IP Camera Tool shows the list of camera. We access our Router in the option Forwarding – > Virtual Servers and click on Add New to add a camera. In this way you will add this address to the list of products if there is access from the outside. To enter configuration of Routers movistar you must be on the same local network from the Router and write on a computer (either mobile, laptop or desktop computer) the IP address of the Router. You can obtain the address default IP for access to the Router in a sticker are at the bottom or rear all Routers of Movistar. The procedure you must follow is the same as in other operators. In the case of alejandra portal process remains the same. You must individually specify the number port start and end that must be one for each camera. To finish the configuration applies the changes to save the settings. Similarly used by Orange livebox router, you need to individually select each ip camera to your local IP address with the assigned port. Where we can see the list of cameras and ports coincides with the image it shows the IP Camera Toolsoftware. At this time we can check each camera IP has an IP address and port that must be different for each camera. It is important to not assign a same port to multiple cameras just so we could see of the Chambers assigned to the port. Each House must have a unique IP address and a different port. 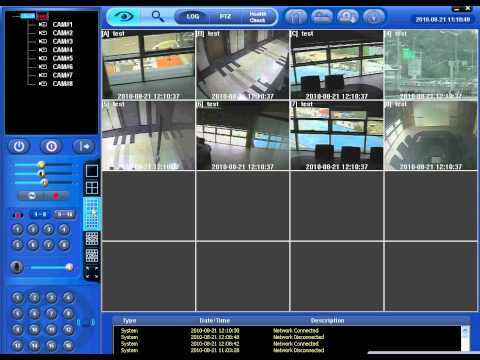 If in your installation have several IP cameras, have to repeat the process for each camera. So each IP camera have assigned a different port. Form example address 192.168.0.242 uses the port 93, 192.168.0.240 port 91, and so on. A same port could not be open for several cameras. If you open a same port to multiple IP addresses, you will only see one of the cameras. The boxes according to the order appear numbered. IE: introduce our IP publishes and write in the box custom ports port we want to check. The right side will be written among other information the Open word if the port is open and the word filtered if the port is closed. We can use either the public IP or DDNS. If our Internet provider offers us a fixed public IP address once configured we can access indefinitely without any problem. Now if this access address various provider must modify the address public IP with which we access each time to be changed. I.e. : If our public IP address is 84.56.123.67 can access the camera remotely from 84.56.123. 67:91. But if the various public IP address, we must change the part 84.56.123.67 by the new public IP address. At this time we can access the camera remotely using the public IP. If we want to access from the DDNS service of the camera in some models it is necessary to activate it from the settings of the camera. It is to say to the House that we will use the address DDNS includes factory. Once you have already completed the configuration use this DDNS address + port + username + password for access from any web browser on a remote computer. In some router is not possible to access with IP/DDNS if is on the same network local cameras. 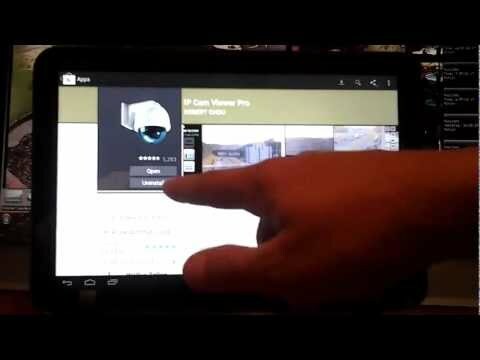 Using the camera with the public IP settings use the DDNS service. If the problem continues is because your Router not allow access in local mode with the same address as remotely. Instead of access via public IP, or DDNS instead use the local IP address. In this way, you can configure multiple cameras in your router, with one public IP or DDNS address and others with the local IP that only you will see when you are on the same network. 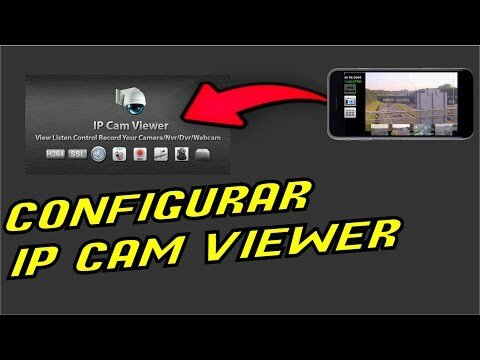 You can expand this information on the website of configuration Foscam where you will find more documents and guides for Setup. If we can help you in this configuration process don’t hesitate to leave us a message through this blog. I also hope you will help the following video with all the process you have to perform from your camera and the Router. If you have clear how to configure your IP camera I recommend you to read this article will inform you about the characteristics of IP cameras. This way you can have clear functions are necessary in your installation. Once you’ve already done the remote setup and you can see the pictures from your camera from anywhere can further deepen in the configuration options allow you to. Points are going to talk to you about some of the most common configurations tend us to ask clients. You can configure your surveillance camera for in case detects a call him an intrusion, a movement… message in some way. Although it depends on the exact type of camera, the vast majority work very similarly, met conditions and detect a movement the alarm will be activated. The first and most important is to occur the movement and be detected by the camera. The camera has a sensitivity, between a maximum and minimum value, this value will allow you to adjust the level of sensitivity in the detection according to the environment install the camera. With a low level of detection, you will not receive just false alarms, but someone pass away could not be detected. Select the agenda detection. Since most models, you can set a schedule in which don’t act detection. If for example you have in a business is open from 10:00 to 20:00, and you want to take image capture if something outside office hours, you can indicate the time and days of the week in which operate the motion detection. Indicate a detection area. It may be an interesting option if the camera catches an outdoor area through crystals. And do not want to act the detection of movement in that area. Only mark the area you are interested Act detection will ensure you receive the minimum false alarms. Following extending above one information functions more demanded by the users of surveillance cameras is that the camera to detect a movement to make recordings. First thing you must confirm if your camera has an internal memory or insert this memory slot. On this memory depending on the firmware of the camera you can record image capture or video recordings at the time of the motion detection. Set the camera to to send you an email with a screenshot. This form next to the email you can get a screenshot with the object or person has caused the alarm. To an FTP server to upload images in case of alarm. It is necessary to have an FTP server since the majority of IP cameras manufacturers do not include this service. In this way can upload images, videos,… in case of alarm to an FTP server of your property. Install a NVR recorder. This option already requires the purchase of a hardware as it is the recorder that will make the recordings. The recorder should be on and previously configured to be able to take the recordings where they occur. Use a computer on for the recordings in the event of alarm. A cheaper option is to use a computer with recording software. The recording program to detect alarm will be the option have established as for example video on the hard drive. Hire a recording in the cloud. Some manufacturers like Foscam offer a recording in the cloud service. This way when a movement is detected images are stored on a server in the cloud for later reference. Imagine that happens an alarm in your home and the camera detects it, and for example you have set for please you email a screenshot. NAA means auto adaptation to the local network. This means some camera models IP adapted resolution can show the available bandwidth of the network. If available bandwidth is available, automatically the resolution will decrease to view video in a smooth way. In an environment with a better bandwidth quality will increase to view images with greater detail.